Enjoy a shopping break in the world's capital of fashion! Discover Haute Couture, outlets, department stores and boutiques. Milan is Fashion, Milan is Style – only for shopaholic! The package is not valid during fair periods and holidays. 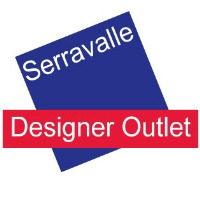 - Serravalle Outlet Shopping Tour – a Full day shopping tour from Milan to Serravalle Designer Outlet, Europe's largest and Italy's leading shopping mall. Wide range of clothing, footwear, home furnishing and cosmetics, all discounted between 30–70% off the recommended retail price. The package includes only bus transfer to/from the outlet, without assistant. - Ticket tour by open bus hop on hop off 24 hours. - City taxes to be paid on the spot (6 euro per person per night). Milan is the city of FASHION. There are lots of places to go shopping, especially for shopping deluxe. Besides famous boutiques there are shops in the center of Milan which sell collections of last seasons at a discount of 50% - 70%. Only 50 minutes from Milan, Serravalle Designer Outlet is Italy’s first and largest designer outlet. Find your favourite designer brands at up to 70% off, all year round. More than 300 brands, from iconic fashion brands like Prada, Gucci, Burberry, Bulgari and Dolce & Gabbana to sporting labels, like Nike and Slam, and high-street favourites, like Guess and Desigual.